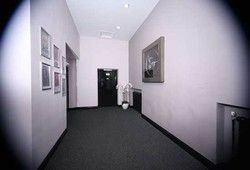 Award winning comedian and actor OMID DJALILI is bringing his brand new show SCHMUCK FOR A NIGHT to the Alhambra Theatre, Bradford. Join the nation’s favourite ballroom couple, Anton du Beke and Erin Boag when they return to the Alhambra Theatre with a thrilling new show, Swing Time. 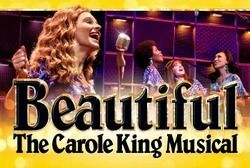 Featuring exciting new choreography, sparkling costumes and a sensational show band performing timeless music. 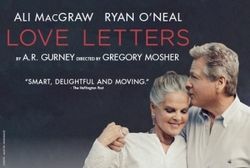 Hollywood legends Ali MacGraw and Ryan O’Neal star in the upcoming UK tour of LOVE LETTERS, celebrated playwright A.R. Gurney’s enduring romance about first loves and second chances. 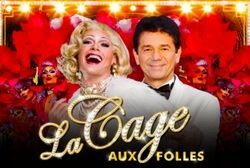 Bill Kenwright presents the highly anticipated UK tour of the Tony and Olivier award winning LA CAGE AUX FOLLES, which will be at the Alhambra Theatre, Bradford from Tuesday 18 – Saturday 22 July 2017. 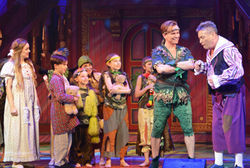 Fun facts – what it takes to bring panto magically to life at the Alhambra Theatre, Bradford! 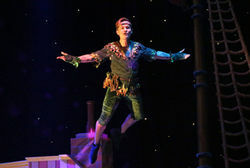 Yorkshire’s number one family pantomime, PETER PAN, (staged by Qdos Entertainment, the world’s largest pantomime producer) opened in December to packed houses and glowing reviews, and will run until Sunday 29 January at the Alhambra Theatre in Bradford. 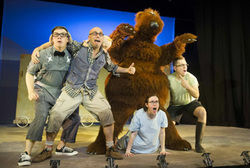 Based on the book written by Michael Rosen & illustrated by Helen Oxenbury, and direct from a smash-hit West End season and International tour, WE’RE GOING ON A BEAR HUNT is coming to King’s Hall, Ilkley on Tuesday 17 and Wednesday 18 January.